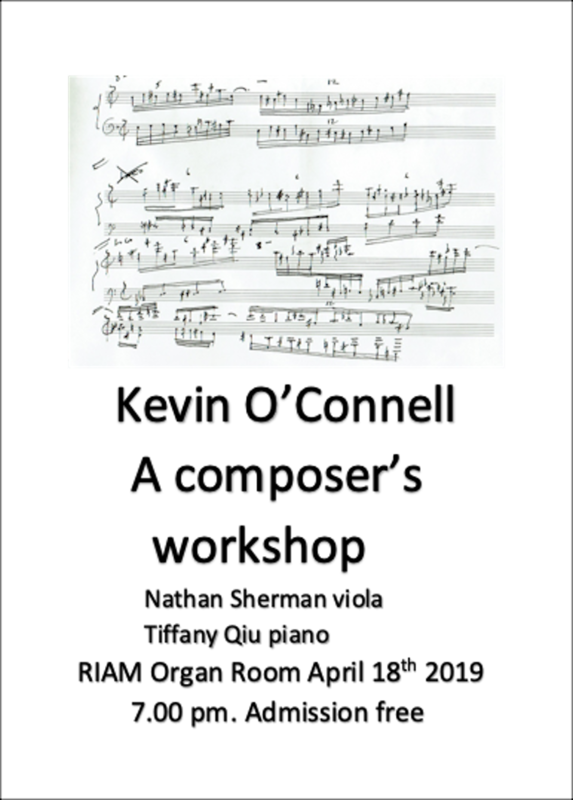 RIAM presents a concert and seminar of Kevin O'Connell works, where the composer, Kevin O'Connell, will also discuss the pieces from a technical and compositional viewpoint. Kevin O’Connell was born in Derry and began composing when he was twelve. He studied composition with Redmond Friel (1907-1979) before completing a music degree at Trinity College Dublin.